The options really are endless and this is such a great idea for transitioning your wardrobe into spring! You’re ready to show some skin but still need a barrier between that cool breeze. 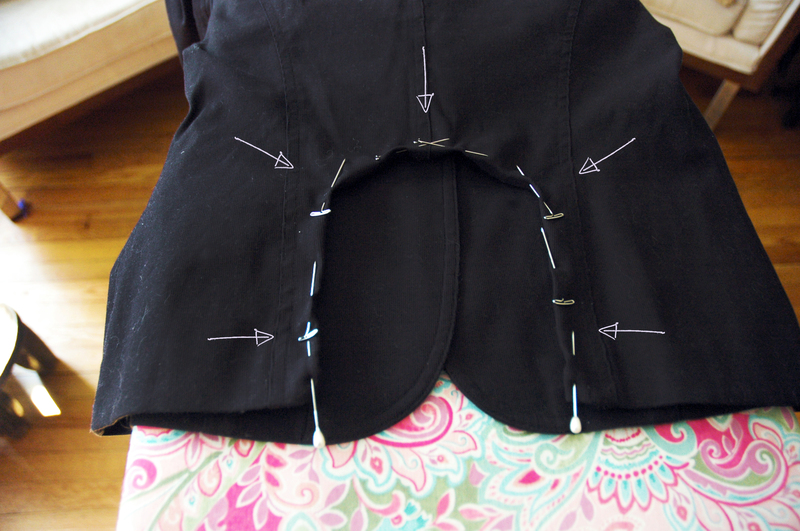 Give the cut-out blazer a try its quick, easy and you don’t need any sewing experience. Once you get the hang of it I imagine the possibilities are limitless! 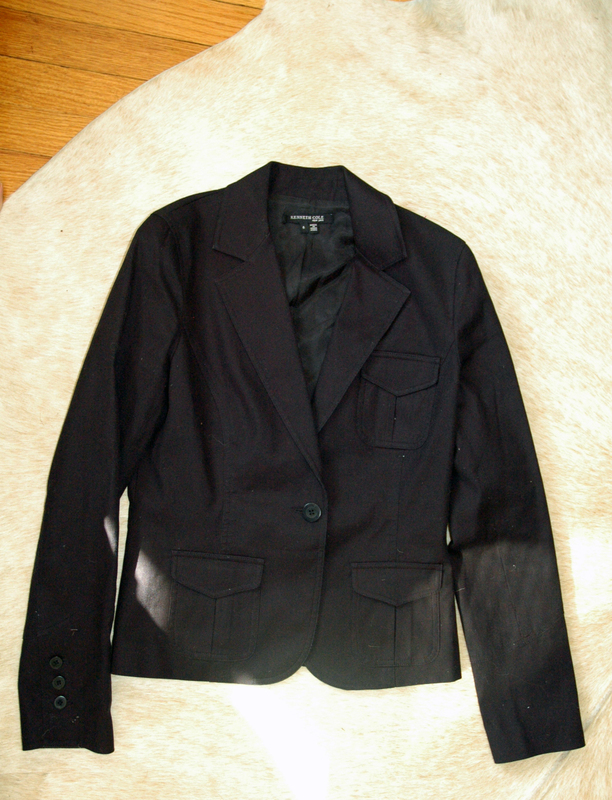 Plus I loved the slight military influence and the three pockets. First decide the shape of your cut out. You can do an upside down “u” or “v” or even a square, just to name a few ideas. I cut my shape out by eyeballing it but you can use chalk to mark yours. 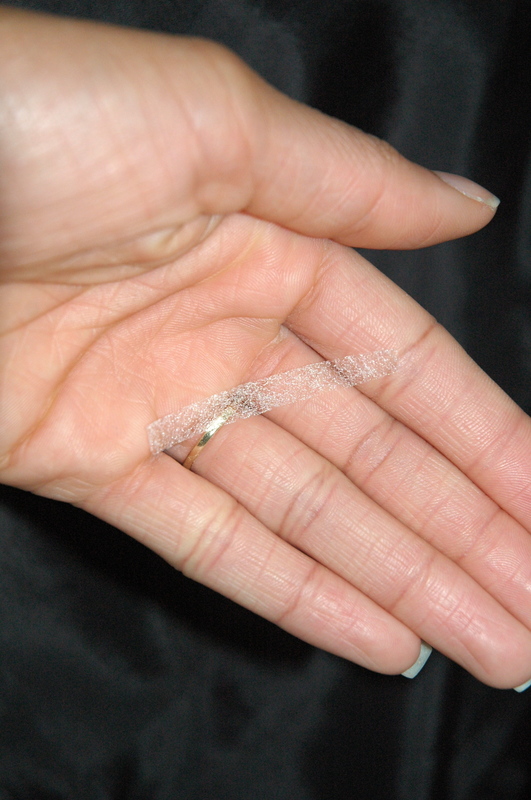 It will wash out when your done and you can tweak your shape as you go. 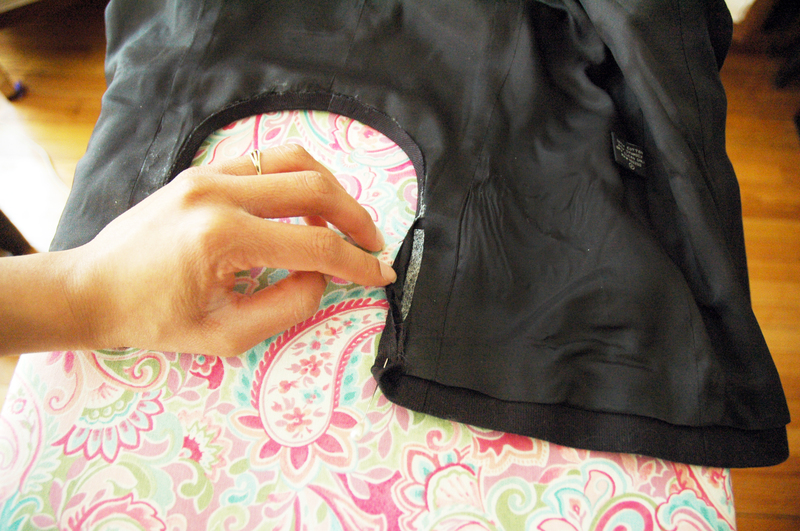 Cut your shape a quarter inch smaller then what you want the finished size to be so you have enough fabric to fold under. 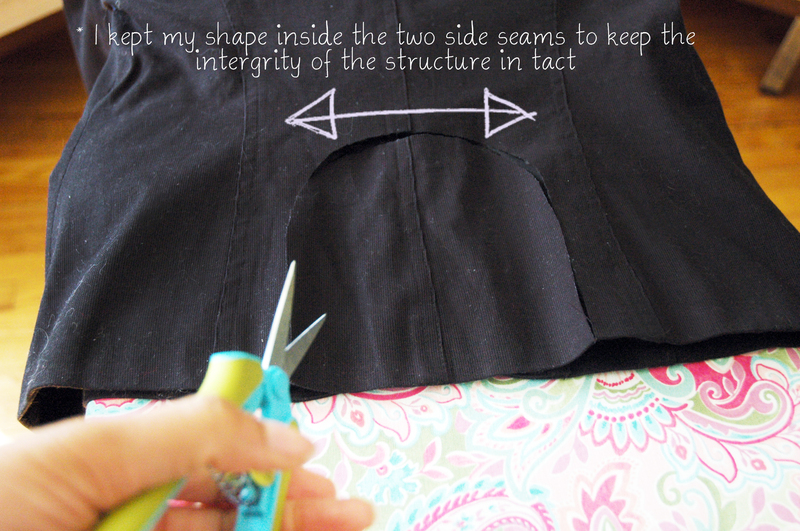 Cut your stitch witchery in half the long way and then cut shorter strips. 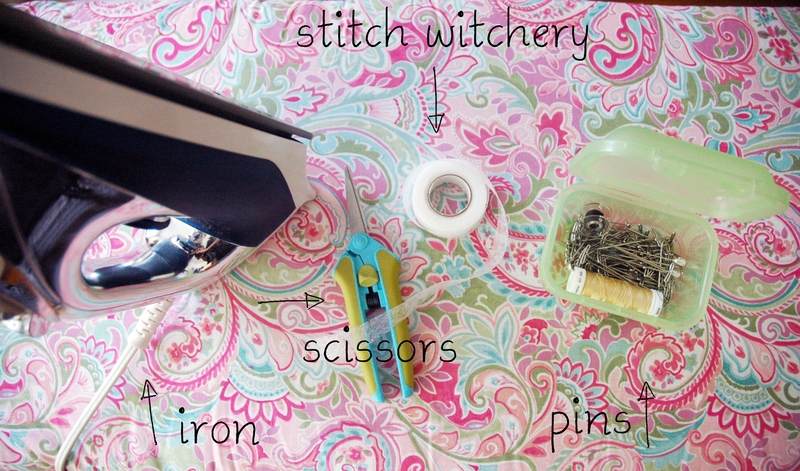 Remove one pin at a time, place your stitch witchery and iron. 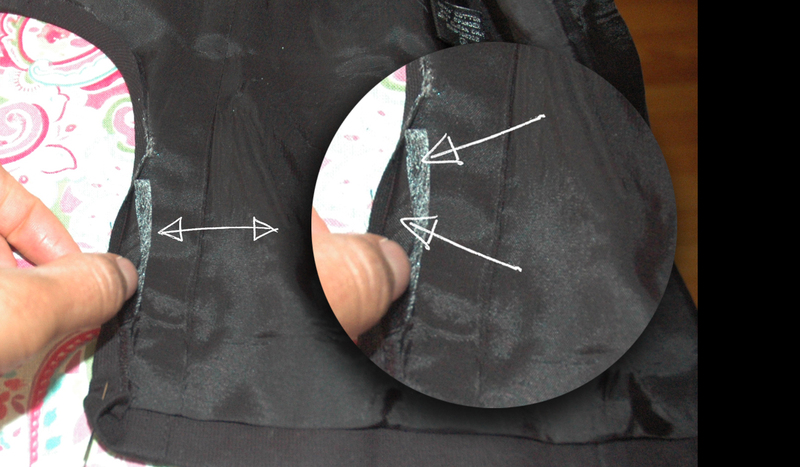 Using steam helps melt the stitch witchery and bond the fabric together. Hope you enjoyed this DIY! Any questions or comments? Holla at me in the comments below! ⟵DIY: Adidas Cuffed Track Pant! Wow, you did an amazing job! I would have never thought to do this. It is fabulous. You look amazing. Thank you Tracy! Appreciate your comment! Ok, so I wanna try ALL of your DIYs! Thanks for stopping by the blog. I’m in LOVE with your DIY’s. As I’m often at home doing them myself. Love this jacket!! Thanks Tori, it’s great connecting with like spirited people! love this idea, so boss!